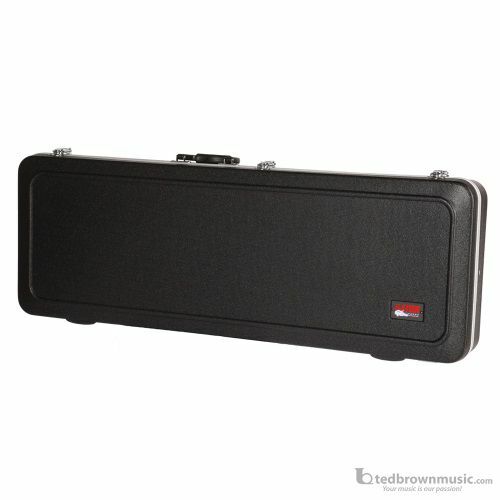 Deluxe Molded Case for Electric Guitars. ABS exterior, with heavy-duty aluminum valance. Through bolted handle for extra strength and EPS foam protective interior with deep plush lining. Chrome plated lockable latches and accessory compartment.